What's With Toners? | emma etc. If I'm honest I don't know a whole lot much about toners - all I know is that they help even out your skin, hence the name 'tone' and there are different types you can get to suit your skin tone, with the likes of toners specifically for oily skin, dry skin etc. 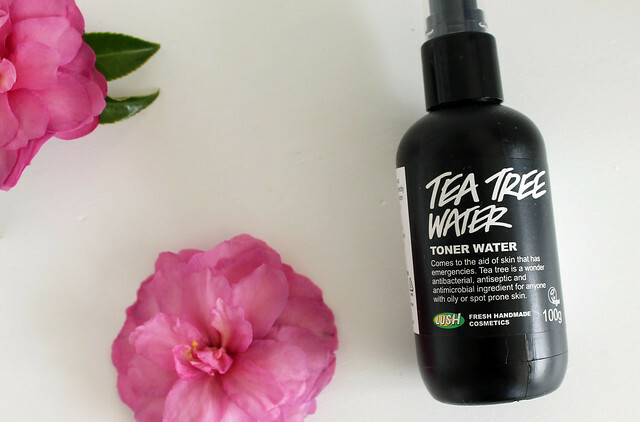 The Lush Tea Tree Water Toner has been on my wishlist for a number of months, so I knew I hate to bite the bullet and just buy it! 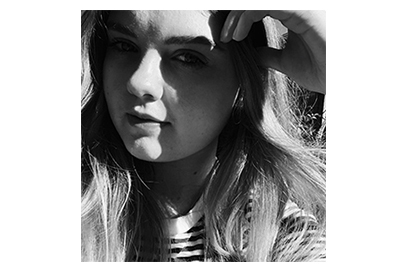 There are a number of things I want to talk about in this post, but mostly just how amazing a simple step in your skin care routine can benefit your skin a whole lot. We'll get right down to business then. Upon using this toner for the first time, I did notice a difference. I'll quickly run through what type of skin I have: combination skin - oily on my chin specifically and sometimes my forehead, normal to dry on my cheeks, and quite dry on and around my nose. This toner specifically caters more to oilier skin, targeting red, irritated or acne prone skin. The reason I originally wanted this was because my chin is SO prone to acne you would not believe it, and with the combination of it being quite a sore, oily mess at times I just hate having to put up with it. I've had this problem for a good half a year, I'd say. Teenage skin, hey? It's a joy. To use this, I spray two spritz' of the stuff on a cotton pad and quickly wipe it mostly on my chin and the resedue on my forehead and across my cheeks after cleansing, of course. I feel like even though this is targeted to oily skin, it doesn't dramatically dry out your skin, and overall just gives a nice evening effect, making the skin smoother and easier to work with. Lush recommends you moisturise after using the toner, and I completely agree as it can draw out some of the moisture from your skin. However, that's what it's targeted to, as I said - tea tree oil is meant to dry up your acne and help with redness. The most magical thing about this is that the toner makes your skin even, so it's easy to glide your moisturiser over the top afterwards. I personally notice a huge difference in my skin (mainly chin area) since using this. It's not pretty having bumpy, sore, red and irritated skin, so this just works to settle and calm everything down. It also helps with controlling oil, and I am noticing that it is helping clear up my skin - the acne is no longer bumpy or as obvious as before. This has no overly strong or offensive smell - I know that some people probably don't like the pungent smell of tea tree oil, but this only has a faint reminiscence of that smell. I know that this toner is pretty natural and I'm not using harsh chemicals or anything on my skin as it's from Lush. This tea tree toner works better than a tea tree oil or gel treatment for me. I like that it's pretty affordable since I opted for the smaller bottle first to try it out. I do think that I would repurchase this again just because it's pretty rare that I find a product that just works. Toners are something I would never thought I would use as I just didn't think it would make a difference - it's no means a miracle worker but I've been pleasantly surprised.